Hamamatsu, Japan―Yamaha, a leading pro audio company, today announced its commitment to the unified communications (UC) market with the development of a dedicated UC department. Leveraging the expertise of Revolabs, a subsidiary of Yamaha that will be part of the new department, Yamaha will focus on solutions that enhance communication and continue to develop products that help organizations reach their business goals. "Yamaha has more than 10 years of experience within the UC industry from working with our enterprise customers in Japan," said Hirofumi (Hogan) Osawa, executive officer, senior general manager of audio business division and general manager of UC Department, Yamaha. "Our latest organizational change and solutions developments are natural steps toward cultivating those relationships worldwide. With music and sound technology as one of our core strengths and an investment in significant resources across the company, we're well-positioned to expand our presence in this global market segment with our current and future product suite." Yamaha acquired Revolabs in 2014, broadening Yamaha's portfolio and knowledge in the UC field and further opening the gate for Yamaha into the UC market. Revolabs is well-known in the industry for its high-quality audio and conferencing solutions and excellent technology integration with leading UC service providers and software leaders, including Microsoft®, Google™, Cisco®, and Zoom®. 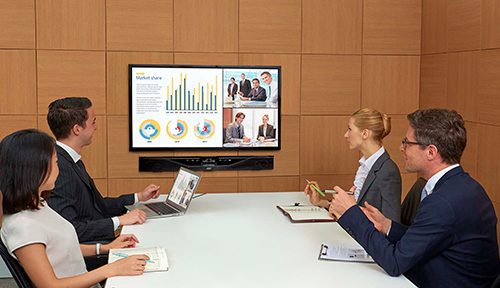 Combined with Yamaha's world-class quality, Revolabs develops superior conferencing products for its customers. 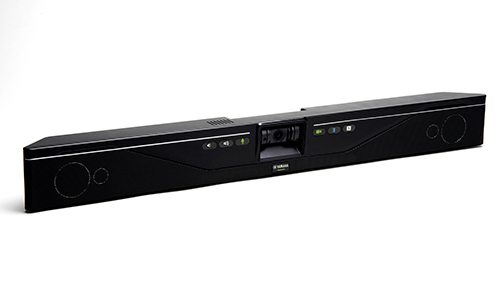 The recently announced Yamaha CS-700 Video Sound Collaboration System for Huddle Rooms is the first jointly engineered UC product from the two companies. It couples Revolabs' microphone expertise with Yamaha's audio expertise and strict quality control. Alongside incredible audio, the CS-700 incorporates a wide-angle HD camera that ensures meeting participants can see facial expressions and body language that are vital to successful, productive meetings. This solution, the first to include video technology from Yamaha, provides users with comprehensive, high-quality voice, audio, and video that eliminates any operational challenges and creates more productive, intuitive collaboration experiences within huddle spaces. "Successful communication that connects remote meeting participants is dependent upon exceptional audio and being able to have a high-resolution picture that captures the nuanced facial expressions that are part of effective conversation," said Osawa. "With our mission focused on enhancing customer experience through our products and services, the CS-700 is a natural evolution of our communication portfolio. This offering is just the beginning of our joint quest to enable perfect voice and video that create fulfilling unified communications experiences." The Yamaha CS-700 will be exhibited in the Yamaha and Revolabs booth, booth 3281, at InfoComm 2017, June 14-16(EST) in Orange County Convention Center in Orlando, Florida. In addition, Yamaha and Revolabs will show its portfolio of market-leading solutions for providing customers high-quality UC experiences.